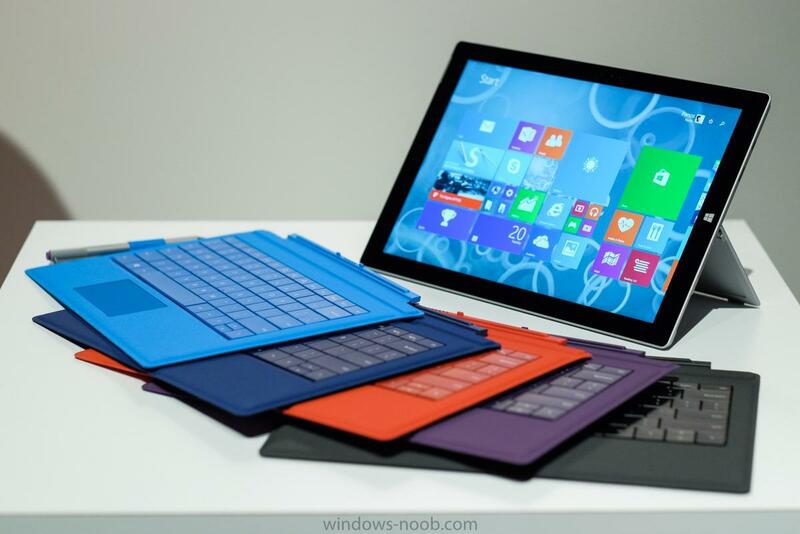 Yesterday Microsoft released updated drivers for the Surface Pro 3 on their website, I blogged about it here. 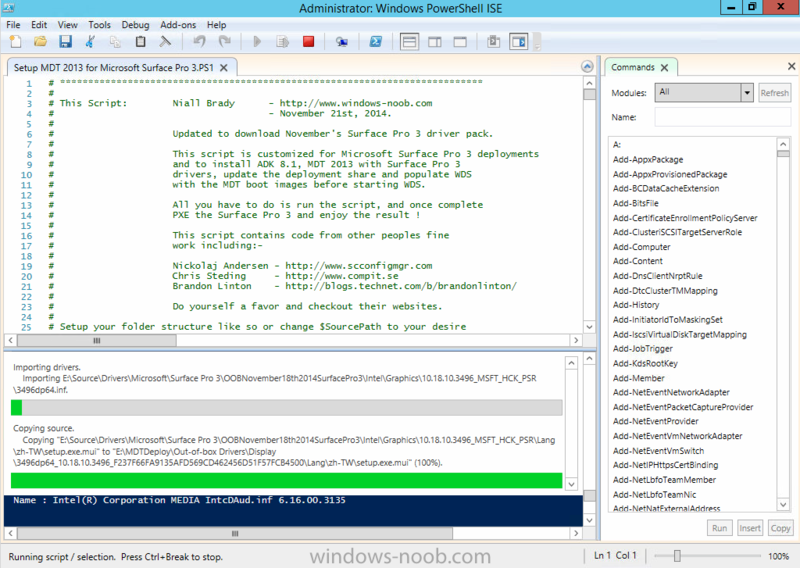 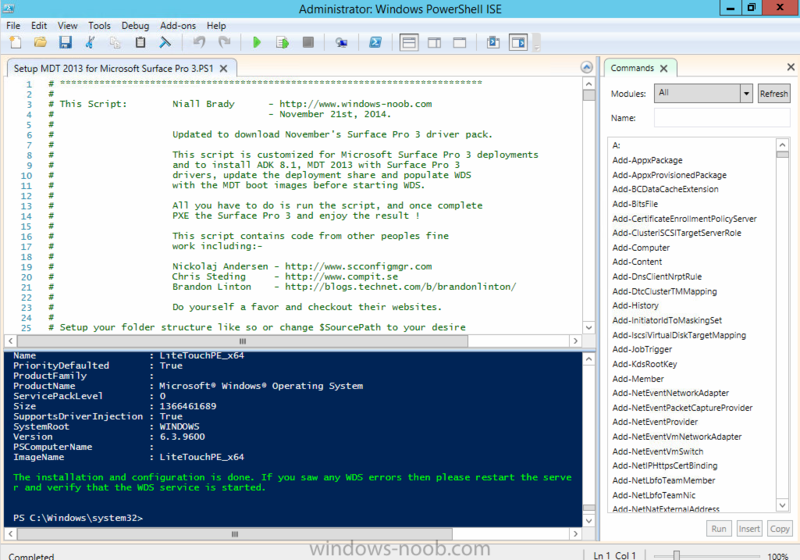 I've updated the PowerShell script from this post to pull the new drivers and an additional MSU update which was added this month (even though it's listed from August 2014). 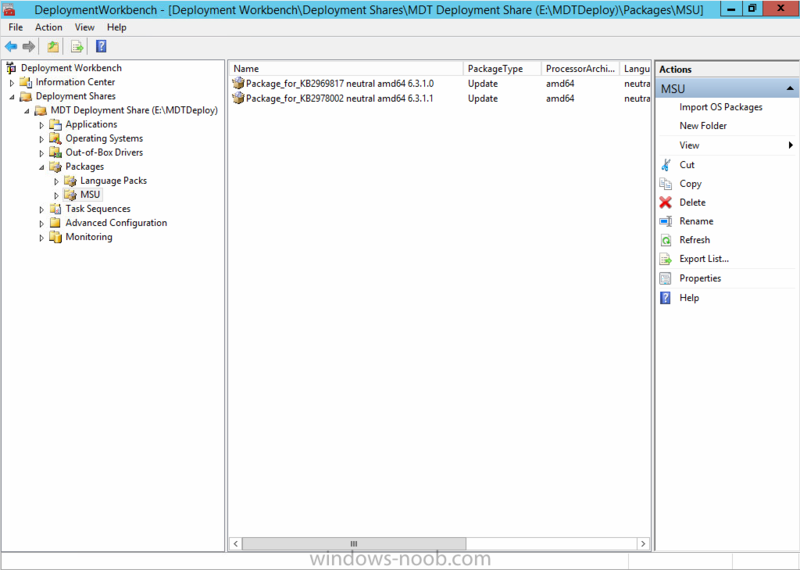 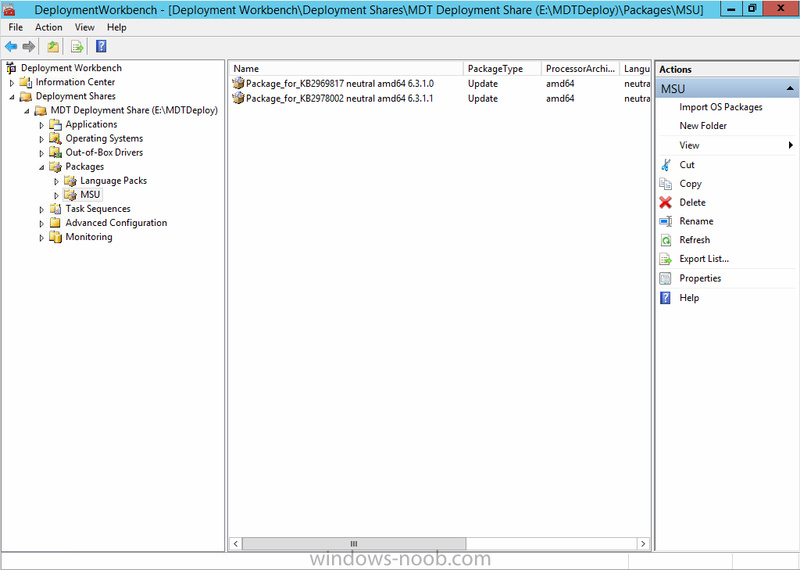 In addition it creates the deployment share with a new name (MDTDeploy) instead of the default, you can always configure it as you wish. 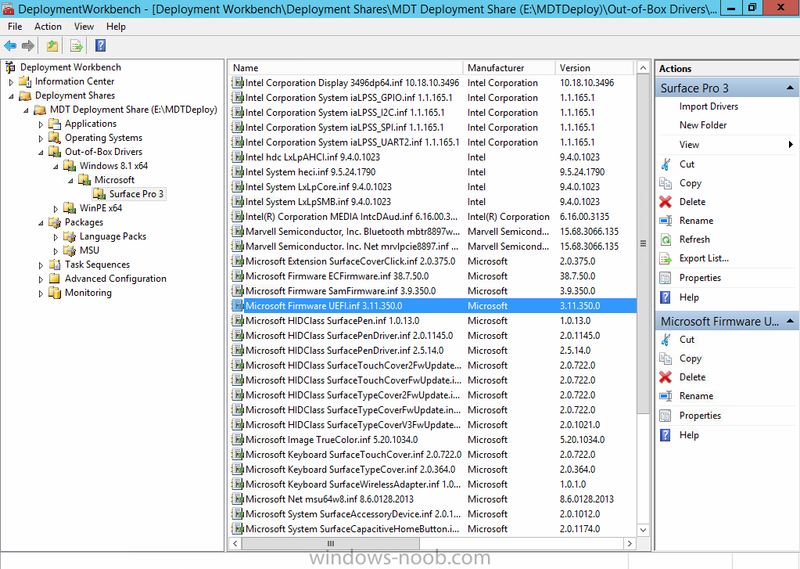 For those of you that don't know, this script is totally automated and builds a complete MDT deployment solution for deploying the Surface Pro 3 with all drivers included from Microsoft right up to November 2014, all you have to provide is Windows 8.1 x64 Update source files and optionally Office 365. 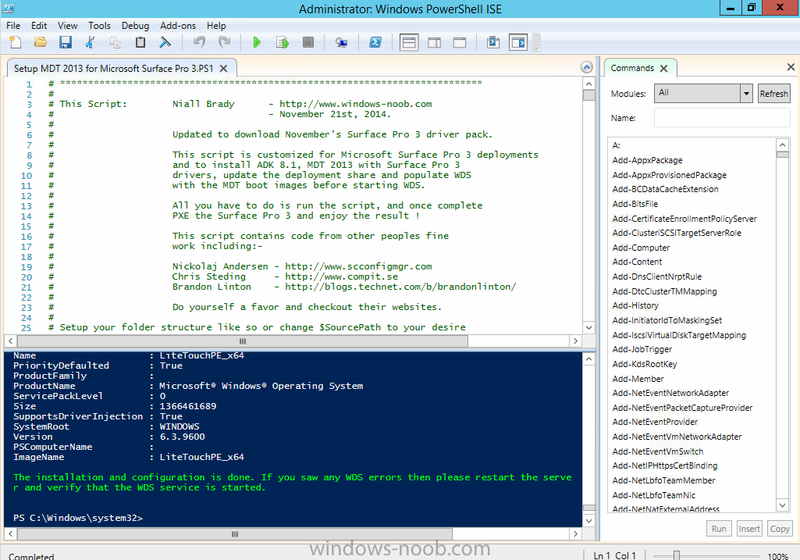 Here's the new updated script. 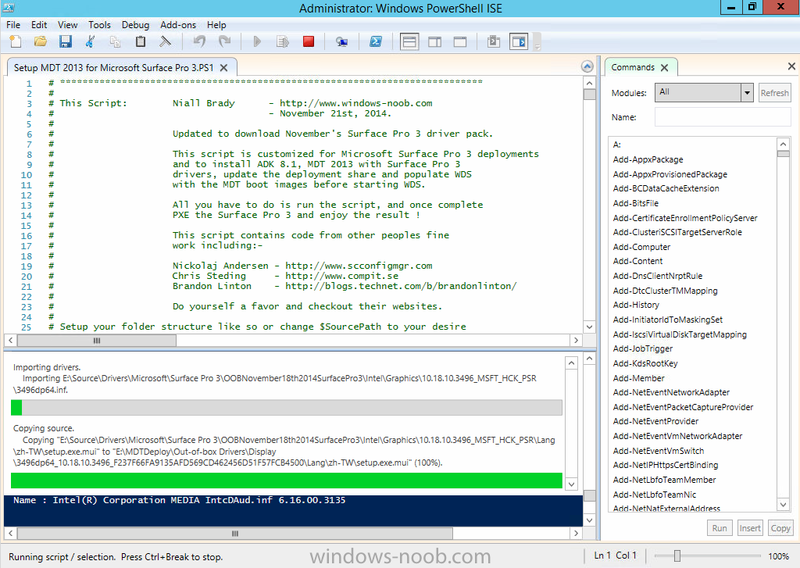 Save it somewhere useful, configure the variables and run it, if all is good it'll look like below after running. 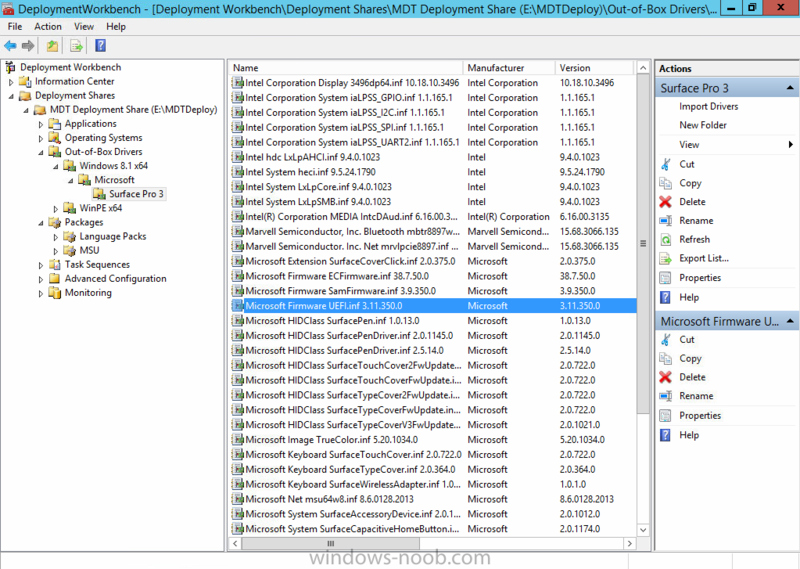 This README describes the versions of the components found in the Surface Pro 3 cumulative firmware and driver update package, released in November 18th, 2014.